Watch our application video to see how easy it is to apply KiwiGrip! Get the texture that you want with the KiwiGrip roller. Available in white, grey, cream, blue & black. KiwiGrip is also easily tinted to custom colors! KiwiGrip is a revolutionary, durable, non-skid coating that spreads quickly and easily with our proprietary roller, offering a beautiful, high traction surface. 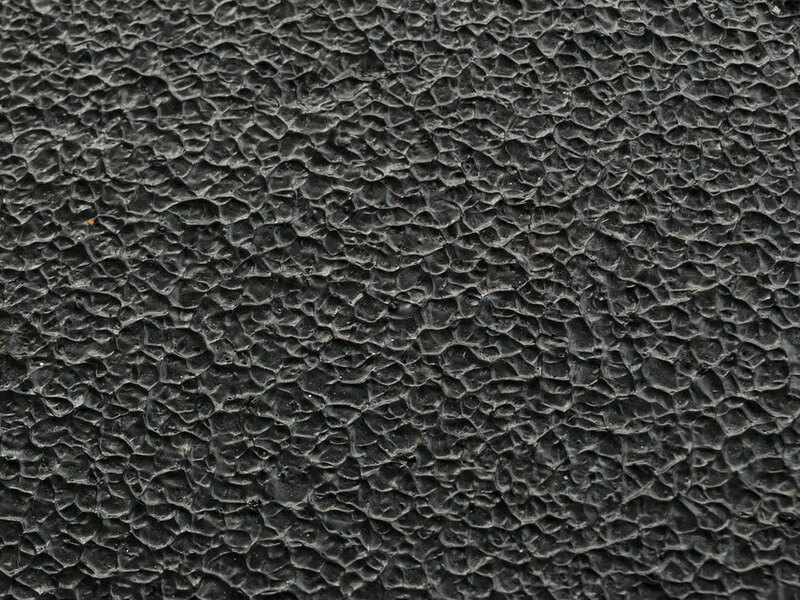 By varying the application technique, the texture can be adjusted from a rolled "pleasure boat" texture to an industrial aggressive "work boat" texture. As a homogeneous material, KiwiGrip doesn't suffer from the problems encountered with products filled with sand, walnut shells, beads, rubber fleck, or other fillers. Coatings with fillers tend to wear through, and the fillers fall out leaving an unsafe deck that's hard to clean and even harder to re-coat. Here's a quick overview of KiwiGrip and an application demo done by our one and only Ian. Want to know if you can apply KiwiGrip by yourself? How much will 1 liter of KiwiGrip will cover? How long does KiwiGrip take to cure? Check out our FAQ page for the answers to these questions and more! Want to learn some tips and tricks with KiwiGrip? Then be sure to check our blog! Here are just a few articles. Learn how to achieve different textures, from a very mild to a very aggresive texture. 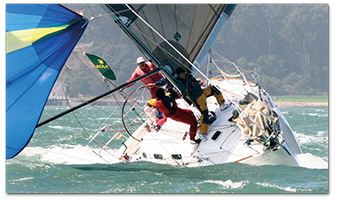 In the Jan/Feb 2011 issue of Good Old Boat Magazine, Stephen Perry shows you how to apply KiwiGrip to their Pearson 28. 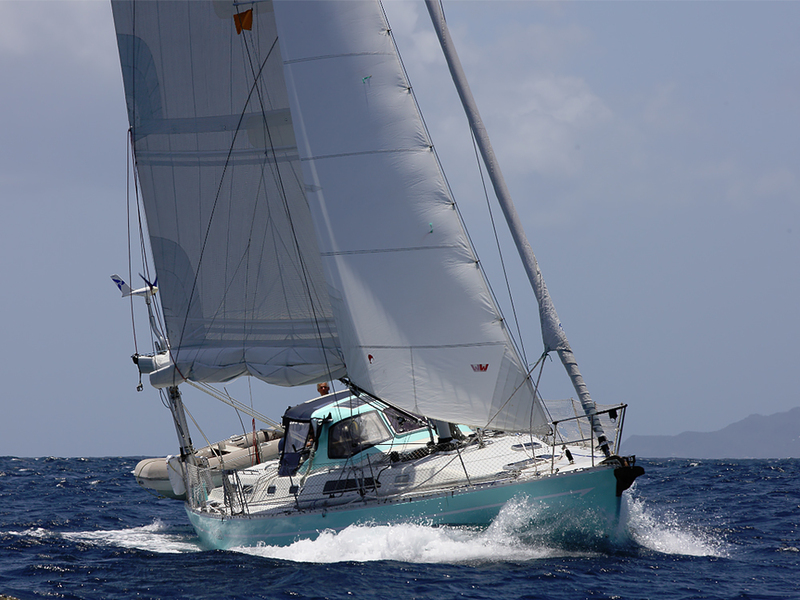 The S/V Pazzo designed by Carl Schmacher and built by Oyster Marine is a renovated Lighwave, 48. Owned and operated by William Stiggelbout. Here are some images of KiwiGrip in action! Want to share your photos of KiwiGrip? Post it on Instagram and put #kiwigrip! Application of our new deck paint! #kiwigrip #don'tslip #easytoapply. #evenicandoit! 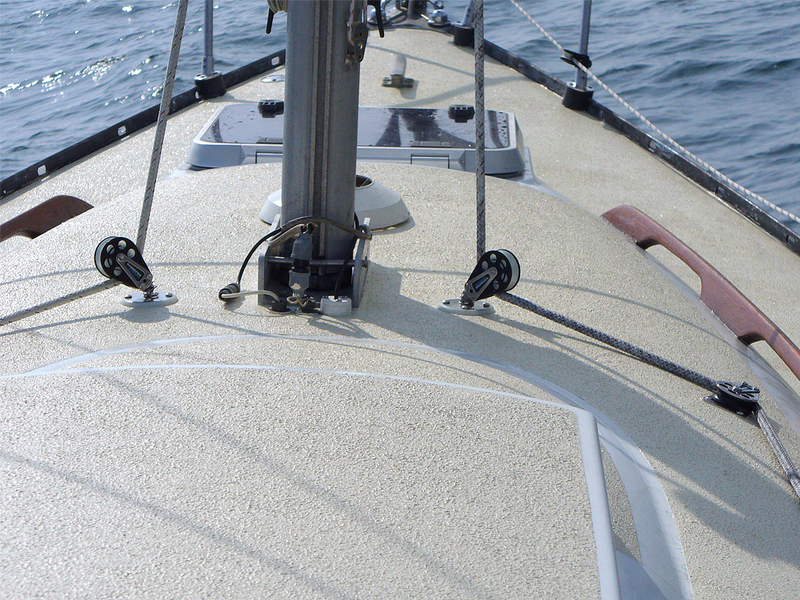 KiwiGrip has been applied to tens of thousands of boats worldwide. Here are are what a few of them have to say about KiwiGrip. KiwiGrip was a dream to use. 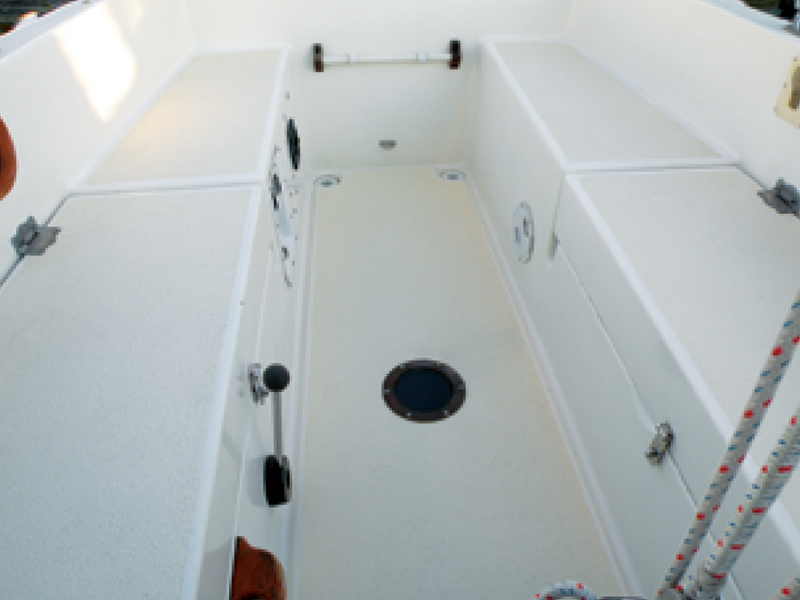 It is a quick, no-mess way of cleaning up tired old decks and applying a superior non-skid finish. It covered all of the spots where I have moved deck fittings and filled the unwanted holes with epoxy. They literally vanish under KiwiGrip. So far my KiwiGrip decks have endured record heat, kids, burning embers, beer, ice, snow, and sea otters without a mark. My next boat will also have KiwiGrip on the decks. KiwiGrip was very easy to work with. 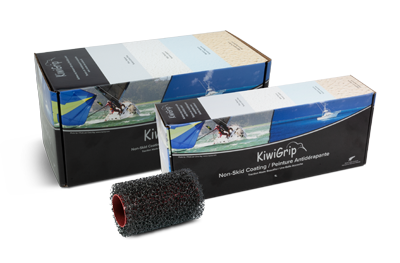 I had to cover a badly damaged and blistered deck on my boat and after a mediocre fiberglass repair job on my part, I applied KiwiGrip over the deck and it covered all my imperfections and it looks and wears excellently. I have been recommending it to my friends. We are very pleased with the results in our 9' Spindrift Nesting Dinghy. We will be using KiwiGrip from here on out when we need non-skid. Thanks! We are very pleased with the results, The deck looks great and a single coat covered the unevenly colored deck (mostly white with brown patches of epoxy where I'd made repairs). Here is a tip other customers might find helpful. I used a 4" plastic squeegee-type slotted trowel to evenly spread the goop before my wife rolled in the texture using the roller. It allowed me to spread an even layer and worked quite well. Thanks. I wanted to share my Kiwi Grip story with you, as I just made my second purchase of the product. I just finished a complete re-finish of a small “Sunfish clone” for my son. The boat was in very poor shape when it was given to me. We worked together to completely re-do, including Kiwi Grip on the non-skid. I believe the results speak for themselves. I liked it so much that I am now going to re-do the non-skid on my Catalina 30! Find A KiwiGrip Dealer Near You!